Timetables relating to antibiotic use in farming have been announced by RUMA, a group which promotes responsible use of medicines in farm animals. The 'Task Force' was started in December last year to identify objectives to reduce or replace antibiotic use in all UK livestock sectors. Having held a series of workshops over winter and spring, Task Force members are currently consulting with different farming sectors to finalise draft proposals by the end of June. Once these responses have been received, each livestock sector has until the end of September to finalise their objectives. RUMA chair Gwyn Jones said that while the British government challenged UK agriculture to reduce average antibiotic use by around 20% by 2018, it wanted the agricultural industry to introduce its own sector-specific targets. "The challenge is every sector is very different according to structure, number of producers and the way it engages with the market," said Mr Jones. "Some have already made significant strides in reducing and refining use, others have further to go. "But the government is clear that every sector is expected to act and have a set of measurable objectives in place by the end of the year. "There are encouraging signs of engagement and progress." Mr Jones said antibiotic sales data for food producing animals showed a 10% reduction between 2014 and 2015. "The pig sector has recently announced a halving of in-feed antibiotics for young pigs and a 70% reduction in colistin use," he said. "We hope further reductions and refinements in other sectors will be evident when the 2016 sales data are released by the VMD later in the year. "Despite this, we all understand the message that we must further reduce antibiotic use where it’s possible to do so without impacting animal welfare." Mr Jones said the benefit of the Targets Task Force became apparent at the very first meeting in the sharing of information, ideas and motivation. "We are confident that by learning and getting inspiration from each other across different sectors, we can bring about the step change needed." 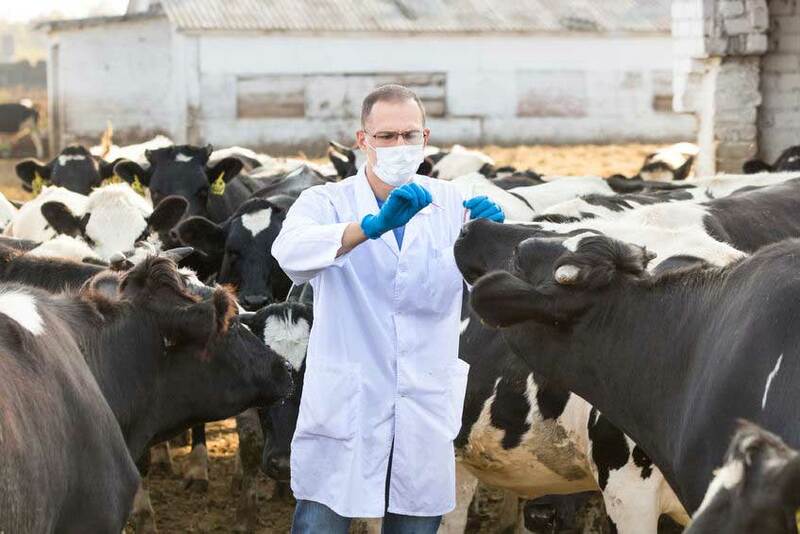 Recently, a breakthrough study looked to alleviate the antibiotics 'time bomb' in the farming industry by looking into using 'bacteriophages', which are a range of viruses, as an alternative to antibiotics.